Andrew Miedecke has added two more Aston Martins to his fleet ahead of an expansion into GT Asia with Matt Stone Racing. 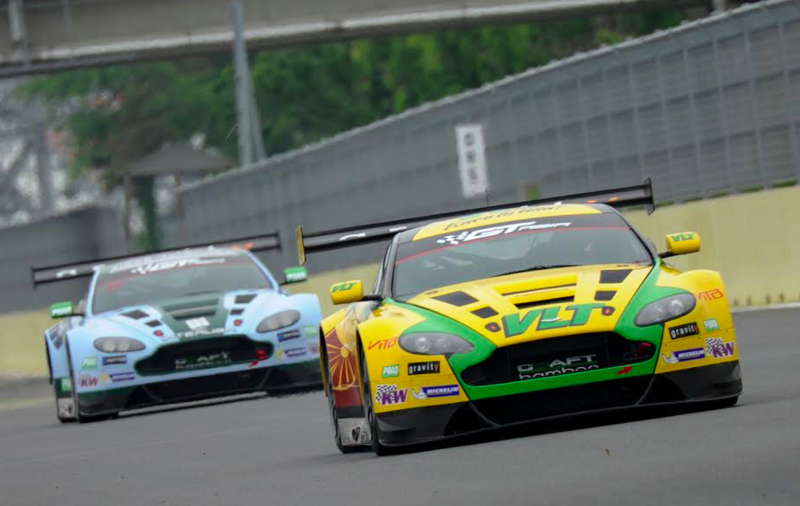 Having moved into Australian GT by buying an Aston from Tony Quinn last year, Miedecke has now purchased two more of the Vantage GT3s from GT Asia champions Craft-Bamboo Racing. The plan will see the ex-Quinn car run by Miedecke and MSR in GT Asia, with the two ex-Craft-Bamboo cars destined for the Australian championship. The Miedecke/Stone alliance will become an official Aston Martin Racing partner in the Asia region as part of the deal, providing support and parts to teams that campaign the British cars. A Port Macquarie-based car dealer, Miedecke says he sees a genuine business opportunity in the flourishing GT scene. “Very definitely my motivation is business,” said Miedecke. “I’m lucky enough that my established business doesn’t need me full time any more and my passion for motorsport has well and truly returned. “I can see the value of building a business in Asia with Matt, with the expansion of the sport in the region, and the opportunity to provide the skills and knowledge that we bring, can be invaluable to an amateur driver who wants to be competitive and enjoy their sport. Andrew and son George Miedecke will share one of the Craft-Bamboo Astons in Australia, while George will drive the ex-Quinn entry alongside a yet to be named co-driver in Asia. Miedecke says he’d eventually like to run two of the cars in Asia, but has elected to import both Craft-Bamboo Astons to Australia initially while the team learns the cars. The deal is a major opportunity for Matt Stone, whose team also currently fields cars in the Dunlop Series, Touring Car Masters and V8 Utes. “It’s been on my horizon for quite a while, as I see it being the natural progression on from what we’re doing in Australia,” he said. Miedecke’s team is scheduled to make its GT Asia debut at third round of the championship at Okayama International Circuit (formerly Aida), Japan, on July 1-3.